Please state whether you would like to enter the tournament or just attend the event. Interested in hearing from some of the best professionals in our industry? Join us for a lively panel discussion with certified interior designers that will take us on a journey through the design process, licensing, and more. Learn about why certification and advocacy is important in the state of California, and how legislation affects everyone in our industry. Panelists will include designers representing several sectors of the industry. Want to RSVP to this event? Submit your information below! Please include whether you would like to enter the tournament or would just like to attend the event. Thank you for your RSVP our Ping Pong Tournament! We look forward to having you! We'd like to take this time to give back to the community, + will be collecting wish list donations for Angels Foster Family Network. Your contributions will directly benefit these wonderful families + children. Angels Foster Family Network works with the San Diego County Department of Child Welfare to give babies and toddlers the best possible start in life. Donations will be accepted at the b + c office all month long. We're excited to share the holiday spirit with you! Are you ready to get your paddle on?!? 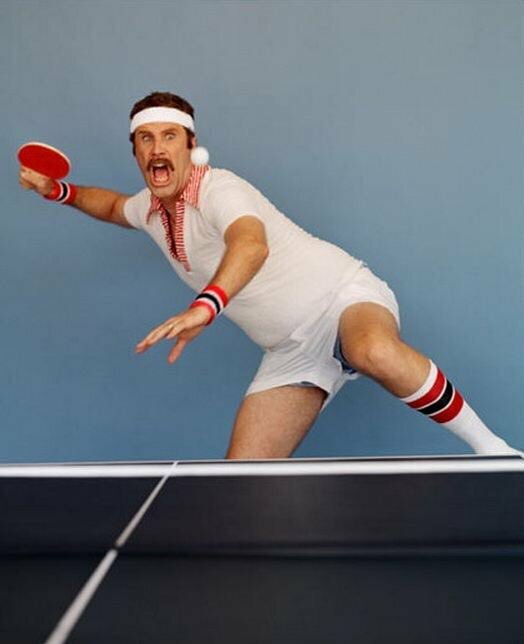 Help us kick off the first day of summer on Thursday June 21st by joining our first ever Ping Pong Tournament!! Enter to win prizes and have a blast! Enjoy apps, beverages and a friendly competition of good ol' table tennis. But hurry, spots are filling up quick!! Email rachel@bcfurn.com to enter. (Bracket will be emailed day before tournament to all participants). 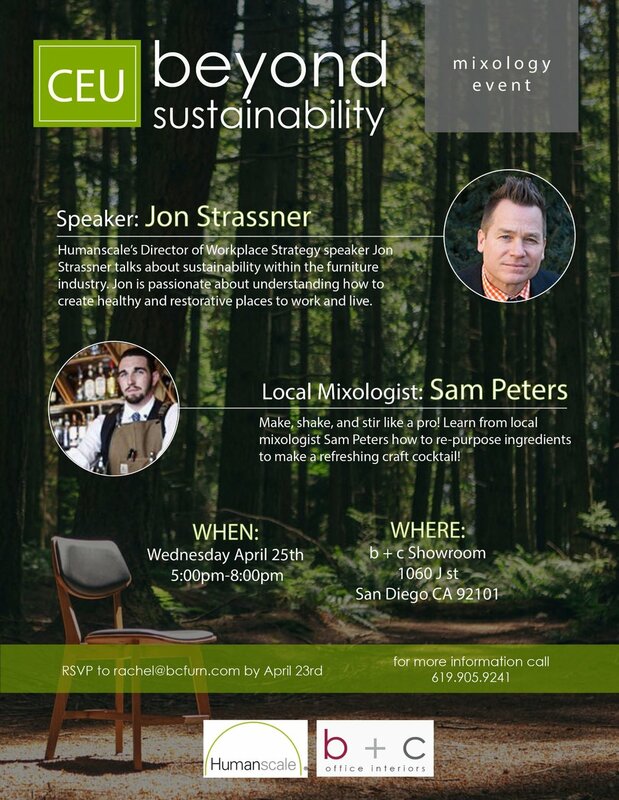 In honor of Earth Month, b + c Office Interiors is teaming up with Humanscale to bring you the CEU Beyond Sustainability Mixology Event in our Downtown Showroom! This event will feature Humanscale's Director of Workplace Strategy Jon Strassner, who will be giving a speech on sustainability in the workplace. If you would like to read more about Jon Strassner, click the link below! The event will also be featuring local mixologist, Sam Peters, one of the General Managers at George's at the Cove in La Jolla. Sam will show guests how to re-purpose ingredients to make a refreshing craft cocktail! Please RSVP by April 23rd to rachel@bcfurn.com. Come join us for our very first St. Patrick's Day Event in our new Downtown Showroom in San Diego! Enjoy festive goodies, refreshments, & games as we celebrate the luck of the Irish! Please RSVP by March 13th to rachel@bcfurn.com.